I'm not quite sure why QBVII isn't better-remembered. Perhaps it's because it was so quickly overshadowed by the epic miniseries craze, Rich Man, Poor Man, Roots, Holocaust and the others that came afterward. It has the right pedigree, for sure: based on the best-selling novel by Leon Uris, featuring an all-star cast including Ben Gazzara, Lee Remick, Anthony Hopkins, Leslie Caron and Anthony Quayle*, with a huge budget ($2.5 million), an international flavor (filmed in four countries) an epic story (spanning 25 years, taking three years to produce), a script from a big-name author (two-time Oscar winner Edward Anhalt), and the largest cast (167 speaking roles) ever assembled for a television production. *Ben Gazarra, fresh off Run For Your Life, was actually a bigger star in America at that point than Anthony Hopkins, who was known mostly to viewers of Masterpiece Theater and had yet to make it big in movies. 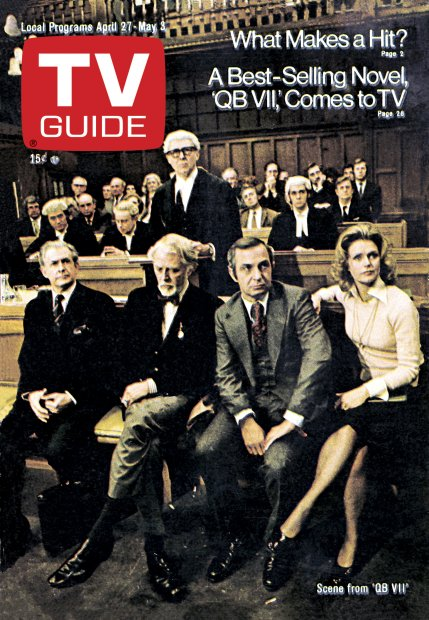 QBVII - QB for "Queen's Bench," and VII for "seven," the number of the courtroom in which the climactic trial occurs - is, to this point, the longest TV movie ever made - an "unprecedented" event, over six hours long. In fact, Peter Greenberg's background article sheds an interesting light on the entire process surrounding the making of QBVII. Uris' agent initially turned down the proposal from John Mitchell and Art Frankel, the Screen Gems executives who pushed for the project. 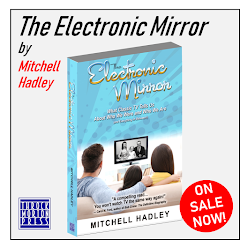 "We looked for a book that was interesting, generic, popular and that couldn't possibly be made into a movie," says Mitchell. They pointed out to Uris' agent that nobody would be able to make the movie in less than six hours, and that no company would ever try doing a two-part movie in the local theater. The only answer, Frankel argued, was TV. Still, the agent was skeptical about having QBVII "relegated" to television, until Frankel finally asked for the bottom line: how much will it cost to buy the rights? The agent said $250,000; three hours later Mitchell and Frankel had gotten a commitment from ABC, and the deal was done. Unlike its miniseries offspring, QBVII is broadcast over only two nights (three hours on Monday, three-and-a-quarter on Tuesday) rather than a week or more. I find that interesting, because it suggests that television hasn't quite yet formulated the unique art form that the miniseries would become - instead, perhaps illustrating the attitude that Uris' agent had had, ABC chooses to imitate the "event" feel of major motion pictures finally being shown on television - movies so big* that they have to be spread out over consecutive nights. Nowadays television is comfortable enough in its own skin that it doesn't have to do that, but clearly ABC's going for a vibe that could be summed up as "an event so big, you'll think it was made for the movie theater - but TV can produce that kind of quality, too!" *Gone with the Wind or Ben-Hur, for example, or another of Uris' huge best-sellers, Exodus. In the event, the movie is a hit, nominated for 13 Emmys and winning six. It makes a big impression at the time, and you could truthfully argue that it makes the future miniseries possible. But if you want to see it, be forewarned - according to Amazon it'll put you out almost a hundred bucks. It's on YouTube, though, which is a much better - and more affordable - alternative. 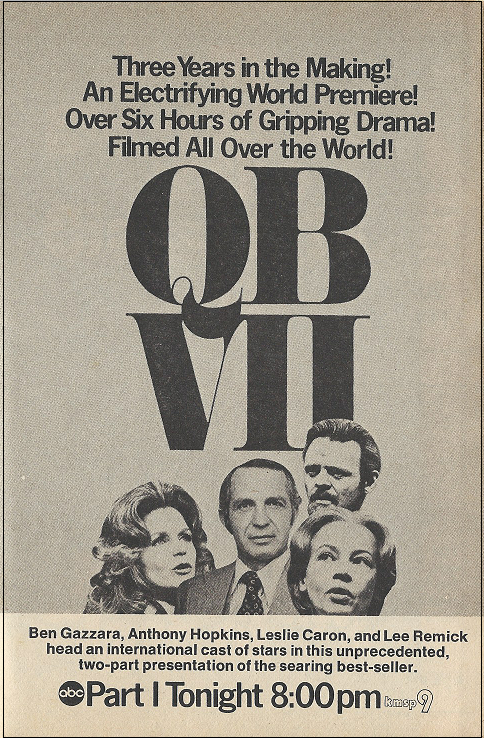 I didn't see QBVII when it was on - I was, at the time, living in the world's worst town, which of course didn't carry such exotic fare on its one commercial broadcast station. Our fare consisted of Limbo, a Monday night movie "about three women adjusting to the uncertain fates of their husbands" in the Vietnam War, and a Liza Minelli special on Tuesday (which, to be fair, looks pretty good, with co-star Charles Aznavour). I do, however, remember quite clearly what I was watching on NBC's Saturday Night at the Movies. It was my introduction to one of the most memorable movies I've seen - The Manchurian Candidate, appearing on television for the first time since 1966. I cannot overstate the impression this movie had on me; it was, possibly, the most powerful thing I'd ever seen on TV. * When I found out it was also a novel, I ran out and bought it - that is, I asked my aunt, who lived in Minneapolis, if she would buy it for me, since that book was just a little too sophisticated for small-town stores back in the pre-Amazon.com days. In retrospect, I find it interesting that TV Guide listed The Manchurian Candidate as "drama"; today, I think it would obviously be labeled as a "thriller." 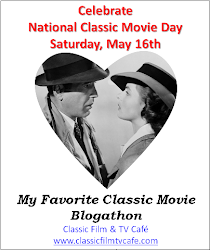 It was the first of a quarted of movies/books that have stayed with me to this day, the other three being Seven Days in May, Fail-Safe and The Best Man. (You might be able to tell that this was during my political junkie days.) They were all grim stories dealing with the weaknesses of powerful men and the fragility of order, a far cry from the conspiracy-laden mush and soap opera stylings that pass for political fiction nowadays. *Obviously I've seen a lot more TV since then; I hadn't seen 2001 yet, for example, but The Manchurian Candidate is still near the top. *Fun fact: according to the always-reliable Wikipedia, the phrase "get down to brass tacks" originated in Texas, likely coming "from the brass tacks in the counter of a hardware store or draper’s shop used to measure cloth in precise units (rather than holding one end to the nose and stretching out the arm to approximately one yard." Doesn't have much to do with television, but aren't you glad you know this now? The playoff season is in full swing, at least on the weekends, when CBS has coverage of the NBA finals and NBC counters with the NHL semifinals. During the week, the independent WTCN will pick up the rest of the games, as well as anything involving the WHA's Minnesota Fighting Saints. Those were the days, weren't they? Speaking of sports, a couple of weeks prior, sportswriter Melvin Durslag had penned his predictions for the upcoming baseball season, which appears to have provoked a number of protests from readers. I don't have Durslag's predictions in front of me, but based on the Letters to the Editor, I think we can get a good idea of what he thought, particularly of the National League East. Peter Cole of Scarsdale, NY takes Durslag to task for picking the St. Louis Cardinals to take the division: "Durslag must not have watched any games last year, or he would know that the Reds, Dodgers, Giants, Pirates and Mets are the greatest teams," a sentiment echoed by Alan Fogel of Brooklyn, who says "it's more likely Durslag's first-rated St. Louis Cardinals will be in fifth, and the mets in first." Russel Baker of Towaco, NJ also puts the Mets at the top of the division, followed by the Pirates, Cardinals and Expos. In the meantime, "the San Diego Padres will be able to ship Melvin Durslag a bushel of lemons," according to Betty Smick of (not surprisingly) San Diego, in response to Durslag's apparent diss of the Pads. In the event, let's take a look at the final standings, and how well Durslag's - and the fans' - predictions turned out. There must have been great disappointment in store for Mets fans; with a record of 71-91, the team finished ahead of only the hapless Chicago Cubs in the East, and Betty Smick's Padres in the West. The much-derided Cardinals did not win the division but they came close, finishing a mere 1.5 games behind the eventual pennant-winners, the Pittsburgh Pirates. Peter Cole's placing of the Giants as among the greatest teams was something of a pipe dream, the Jints finishing only one game better than the Mets at 71-90. He was, however, rather perceptive in his inclusion of the Dodgers in that group; with a record of 102-60, they bested the Reds by four games, then went on to defeat the Pirates in the NLCS 3-1 before succumbing 4-1 to the Oakland A's in the World Series, the third consecutive Series win for Oakland. *Legalized gambling is so prevalent nowadays, especially in states with casinos on Native American reservations, that one has to laugh at the idea, expressed in a 60s episode of Run For Your Life, that other states might ostracize Nevada because of its gambling and attendant problems. No, it's more likely they'd copy Nevada instead. While I was researching the National League standings above, the missus was flipping at random through the pages of this week's issue, pointing out that we were hardly in what anyone could think of as a Golden Age of Television. There's Chopper One and Firehouse on ABC Thursday night; together, the two series combined to produce 26 episodes before going off the air. 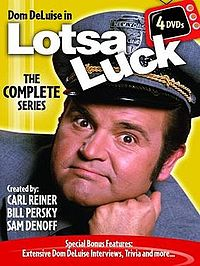 At that, they were only able to best Dom DeLuise's 22-episode Lotsa Luck!, which ran on NBC Friday night, by four. Lotsa Luck! was paired with the Sally Field-John Davidson romcom The Girl with Something Extra, that extra something apparently not including ratings: it was 22 and done for the gimmicky NBC show. And then there's NBC's Chase*, starring Mitchell Ryan as an undercover cop, which made it through 24 episodes, and its competition on ABC, the 13-and-out The Cowboys. 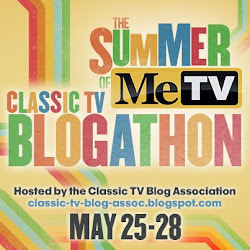 In fact, the most successful of these flops was probably CBS' Apple's Way, by Waltons creator Earl Hamner Jr., which managed to crank out 28 episodes. 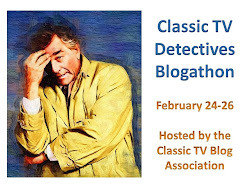 *The first show from Stephen J. Cannell, who would do just a little better with The A-Team. 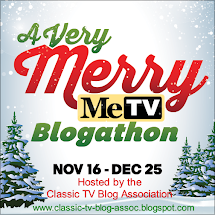 You'll notice that I linked to descriptions of all those series, on the grounds that many of you may never have heard of them. 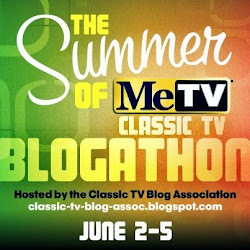 On the other hand, there were still plenty of series on the air that are well-remembered today: there's the shows you might be just a bit embarrassed today to admit you watched back then, like The Brady Bunch and The Partridge Family on ABC, Sonny and Cher on CBS. 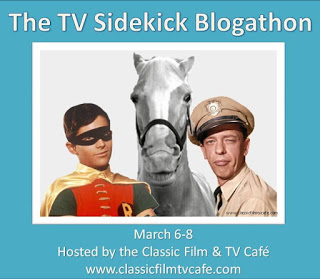 You've got the leftovers from the 60s, the shows that had a long and successful run but seem to belong to an earlier time: The FBI on ABC, Mannix, Gunsmoke and Hawaii Five-O on CBS, Dean Martin and Adam-12 on NBC. 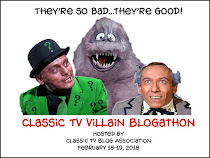 There are the stalwart hits of the 70s, such as CBS' Kojak, Barnaby Jones and Cannon, and The Six Million Dollar Man and Happy Days on ABC, and Ironside on NBC, all of which were pretty successful. And then there's the Murderers' Row on CBS Saturday night, perhaps the most successful night of television we've seen in a long time: All in the Family, M*A*S*H, Mary Tyler Moore, Bob Newhart, and Carol Burnett. I suspect any network would give its eye teeth to have a lineup like that today. The News Watch feature at the beginning of the programming section, where we usually get tidbits about what's going on in the industry, is instead devoted this week to Gene Farinet's moving tribute to NBC newsman Frank McGee, who had died earlier in April from bone cancer. Farinet had been a longtime colleague of McGee at NBC, and shares many of the details on what made McGee such a good journalist and anchorman, as well as consummate professional. It's hard to imagine today, given the celebrity gabfest that the Today show has become, but McGee hosted Today at the time of his death, and brought to it a hard news sensibility that is sorely lacking today. His best-remembered work, I think, was probably his coverage of the space program, where he had, as Farinet notes, the ability to make "the complex . . . simple. He translated space jargon into understandable terms" and presented it with a steely calm that sought to inform without sensationalizing. Farinet describes McGee as "a calm voice when it was not popular or fashionable," and nowhere is this more apparent than in his work on November 22, 1963, when he was one of NBC's main anchors during the breaking news of JFK's assassination. His was very much a "just the facts" presentation, with the viewer's needs foremost in mind; like most people watching at home, he'd come in to the story after it had already started, and he figured that both he and them would like to be brought up to speed on exactly what had happened. Inside he, like his colleagues, was in tumult, but his calm exterior wavered only once, after midnight, as NBC's coverage drew to a close on that most tumultuous day. In reading about the current dispute between former CBS reporter Sharyl Atkisson and CBS management, one of Farinet's comments rings true, that "McGee was a man whose deep inner convictions could never be skaken. He could never be intimidated, cajoled or misled." That seems to be a quality in short supply in today's television journalism - or anywhere, for that matter. There's a final anecdote that Farinet tells that, I think, is emblematic of Frank McGee's class and ability, particularly when one thinks of how so many on-screen newscasters today are simply readers with little knowledge of what they report on. "On one occasion McGee was hustled into a studio and told that NBC News was about to take to the air. But McGee was not told why. The red light was on - and McGee started talking. Fortunately, he says, they put up a picture of the United Nations on the monitor - so he figured that that's what it was all about. He ad-libbed 90 seconds on the UN, assuming that this was to be a promo for coverage later in the day. As he was most of the time, McGee was right." I like that story - just as I liked Frank McGee. He was a professional in a time of professionals, and we could use a little more of that nowadays. Just sitting here on Saturday night with my DVD of QB VII, which I got earlier this year for ten bucks from the bargain rack at my local Jewel supermarket. Moral: keep your eyes, ears, and options open. As it happens, I saw this first-run in '74. Looking at it again all these years later, it occurs to me that QBVII may have been the beginning crack in the "wall" that separated movies from TV as far as "prestige" was concerned. It certainly put Anthony Hopkins on the map: of all the actors, he handled the aging aspect most convincingly, something the better-known stars had some problems with. - Your mention of The Manchurian Candidate cues me automatically into Khigh Dhiegh, who played Dr. Yen Lo, the jocular Chinese brainwasher - which led to his long-running recurrence on Hawaii Five-O (the original - you know, the good one). Have I ever mentioned here, as I have elsewhere, that Khigh Dhiegh was actually Kenneth Dickerson, an African-American from New Jersey? Think about that the next time you read someone's complaint about racial casting. - The times change, and almost never for the good. When Frank McGee died, the public statements were all the same: reverent, statesmanlike tributes without a discouraging word. It was about a year later that the story broke, that at the time of his death, McGee had broken up with his long-term wife and was living with a Today staff member. These days, it would be tabloid fodder LIVE and on the spot. Little wonder that when Frank Reynolds fell ill years afterward, he kept it a secret from his bosses at ABC until nearly the end (and this was almost the whole time that he was ABC's principal anchor). Reynolds had no scandal to hide - he just wanted to keep his private life private. I'm running a bit dry just now; more when I can think of it. I did not know that about McGee, and I don't think I would have needed to know about it at the time. You're right - it would have been all over the place, to what end? Can't blame Frank Reynolds a bit. I really liked him. Great info about Khigh Dhiegh - hadn't read that before! As always, a fount of information. 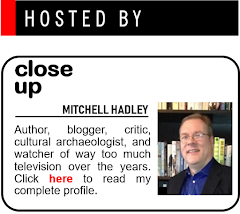 You up for a guest hosting turn sometime? People of a certain age remember Frank McGee not for "Today" or November 22nd, 1963, but for space coverage. 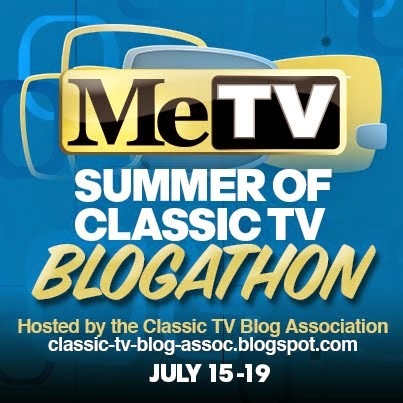 NBC was on the air for 31 straight hours on July 20th and 21st, 1969 (as were ABC and CBS) for the Apollo 11 moon landing (including the entire time the lunar module was on the lunar surface), and it's been claimed that NBC's Frank McGee and ABC's Jules Bergman were each on the air for 24 or 25 of those hours, while Walter Cronkite was at the CBS anchor desk for 28 of those 31 hours. If my memory serves me correct, during the moon walk, McGee didn't give all that much in the way of commentary, instead letting astronaut Rusty Schweikhart and geologist Dr. Harold Urey do most of the on-air commentary. While McGee was anchoring from NBC's Studio 8-H in New York; I seem to recall that Schweikhart and Urey were in Houston. Yes - McGee was terrific on space coverage. Much more like Cronkite and Bergman, with whom he shared a fascination about space, than Huntley and Brinkley, who did not. They were at the Cape for the launches, but that's because they were the network's top anchors; McGee and Jay Barbree (and I'm sure I'm overlooking someone) were just great on NBC's coverage. Nice tribute of Frank McGee. He was so good for so long on space flights. He's remembered well in Halberstam's book "The Fifties" for his coverage for NBC of Little Rock in 1957.